Edit: Can this mod be server side only or does the client have to have it as well? It is a client side mod. Only for unlocking achievements by right clicking on them it needs to be installed on the server as well. I realize this is most useful as an API in conjunction with other mods, but does it work alone in client-side to allow for the tabbed achievement pages without needing it on the server or in a pack? Yeah it works fine by it self it'll get icons from the page and take them as tab icon. You could also set them yourself. The API isn't used by anyone as far as I know of but it only adds more. All features listed that aren't under API are available to all. The description of the achievements would be nice. Also, some of the mod bar icons are blank, not sure if that is on your end or the specific mod's. Other than that, I may keep this mod. Keep working on it so it comes out of Alpha/Beta. This is very interesting but I will not touch it while in Alpha/Beta as I have had too many mods mess up on me and my world that I've had to re-start from the beginning. There are such things as backups, and you can always test. This is a GUI mod, so, not much would be world destroying as it doesnt do anything to things within the world. An example of possible trouble is something like Twilight forest which triggers things with Achievements. Could also possibly mess up with other achievement mods. A lot of people miss out on hidden gems because they dont bother to try them out. 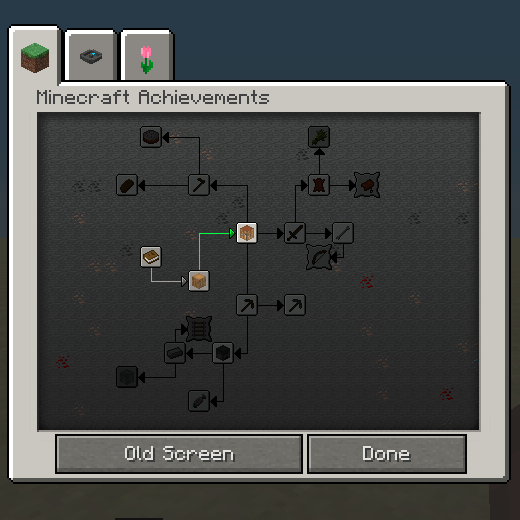 Im probably going to try this, even if I think achievements were the dumbest update in minecraft history.